Nikola Tesla was born the son of a Serbian minister at precisely midnight between July 9 and 10, 1856, in Croatia in the village of Smiljan. He was educated at the Austrian Polytechnic School of Gruz and immigrated to the United States in 1884. 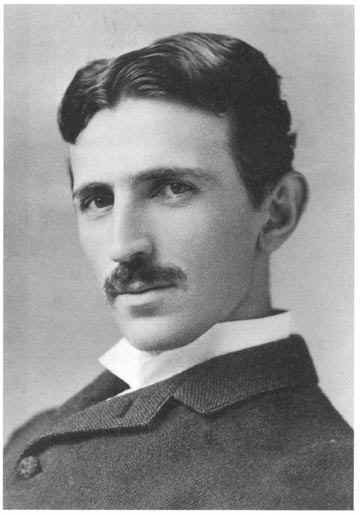 Before Tesla, alternating current (AC) was merely a curiosity for scientific study and not thought to have any practical value. Before Tesla, there was no way known to generate and distribute electricity efficiently more than a few miles. 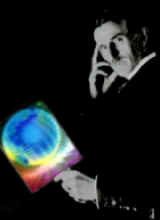 Nikola Tesla changed all that by inventing practical and affordable systems to generate and distribute AC electric power. He also invented the modern AC induction motor, fluorescent lighting and the Tesla coil. Nikola Tesla sacrificed a personal fortune in exchange for a promise by his investors that they would provide his AC power technology freely to anyone in the world who wanted to build on it. 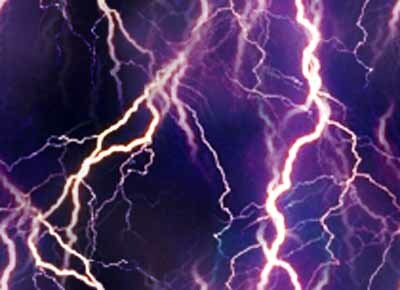 He liked to perform dramatic electrical demonstrations in front of the public and his friends, sending high frequency current and millions of volts through his body. He also once built and tested a seismic experimental device which created an artificial earthquake that wrecked havoc on his neighborhood in New York City. He had to smash the device with an ax to stop the earthquake. The local police rushing into his laboratory were not amused. Nikola Tesla invented radio first. Although Guglielmo Marconi was recognized for over 40 years as the inventor of radio, the U. S. Supreme Court overturned Marconi's radio patent in 1943 and restored it to Tesla. Tesla also experimented with the radio transmission of electrical power. He wanted to build a wireless power plant complex that would provide energy for the whole world. It was difficult for him to maintain financial support to develop this technology fully. Power without power lines also meant power without meters to bill customers. Nikola Tesla was also the father of Robotics. He invented and demonstrated the first radio controlled boat in 1894. Tesla thought it would be better if robot boats and machines could fight each other in war instead of people. Tesla designed plans for electrically powered particle beam weapons in the 1930's and tried to interest the Allies in building them during World War II. He thought these weapons could be used as a peace shield that would make invasion nearly impossible. It is believed that the U. S. Government confiscated many of Tesla's papers on this subject after Tesla died. Tesla's basic ideas were integral to President Reagan's Strategic Defense Initiative of the 1980's. Nikola Tesla never married and dedicated himself solely to the pursuit of scientific discovery and invention to better the lives of all mankind. He once said, "I do not think there is any thrill that can go through the human heart like that felt by the inventor as he sees some creation of the brain unfolding to success ... such emotions make a man forget food, sleep, friends, lover, everything". He died in 1943 at age 83. In the 1960's the 'tesla" was defined and accepted by the scientific community as an international unit of measurement for flux density.